A former firefighter, Louis K. Lowy is the author of Die Laughing, a humorously dark sci-fi novel set in the 1950’s of flying saucers, communist paranoia, and live television. He is the recipient of a State of Florida Individual Artist Fellowship. 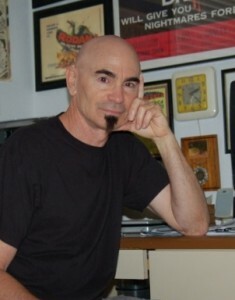 His work has appeared in, among others, Coral Living Magazine, New Plains Review, Pushing Out the Boat, The MacGuffin Magazine, and The Chaffey Review. His poem “Poetry Workshop” was the second place winner of Winning Writers Wergle Flomp Humor Poetry Contest. He can be reached at www.louisklowy.com and on Facebook. Louis has been involved with Friday Night Writers for six years. He originally joined as a means to connect with other writers—not really sure what it was, exactly, that connect meant. Over the years he’s come to realize that it means an opportunity to learn from its leader, John Dufresne; a safe ground to be criticized and praised; a forum to share in the insecurities and triumphs that come with writing; and a network of friendship, support, and encouragement. 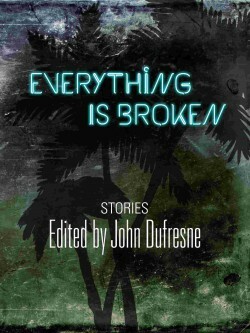 Louis’ story in the upcoming book Everything Is Broken is entitled A Hole in the Night. Copyright © 2015 Midtown Publishing Inc.